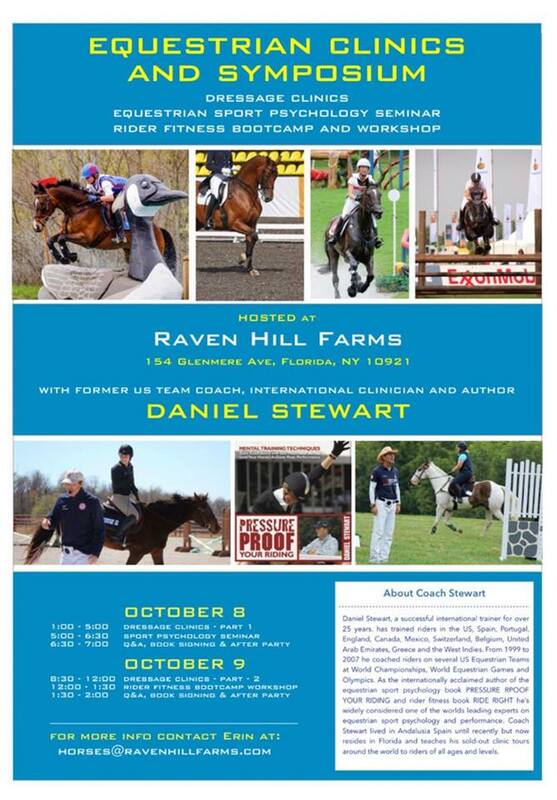 Coach Daniel Stewart at Raven Hill Farms for Clinics October 8th & 9th! We are Welcoming Coach Stewart to Raven Hill Farms for a Clinic October 8th & 9th! His clinics fill up very quickly please PM me if you are interested and available! Or Call 845-987-6965 for further details!